I spent a good chunk of the week on The Bonneville Salt Flats in Utah shooting for a really cool Woolrich x Westerlind capsule collection coming to The Reed and elsewhere this winter. As a photo trick we used the salty desert landscape to mimic snow. It was hot and we were wearing down jackets, boots and flannel—but the beauty of the Utah wilderness—including roaming bison herds—was enough to cool us down. It was pretty hectic at times though, we'd change out of an outfit and put on another as soon as humanly possible chasing the windows of low light in the late evenings and early mornings. Organization was key. 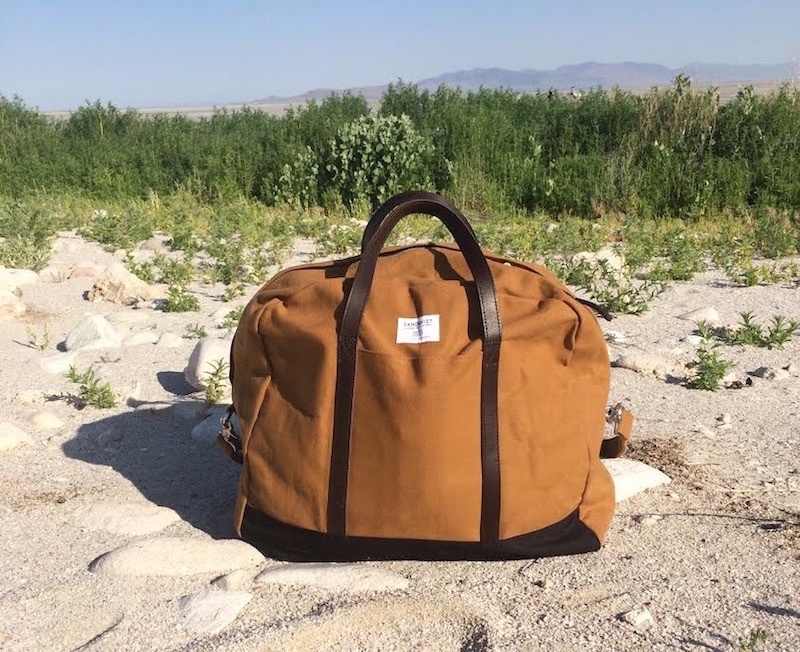 I packed everything I needed into a Sandqvist weekender and it performed wonderfully. It's deeper than many duffle weekenders I've seen so I could pack up to four layers of rolled clothes. When I travel by air, I usually use wheeled luggage, so I was hesitant at first to take this, but it was a breeze with the shoulder strap and fit perfectly into the overhead bins on the plane. It was a lot easier to move around a car than wheeled luggage too. If you're not familiar with the Swedish bag maker, check out all their stuff, great backpacks, laptop bags, totes, and accessories. What a great looking bag! Looks super cute and practical for travel. I was wondering if sometime you might write a review of some good garment bags? I'd love to find one that is practical yet aesthetically pleasing-- which doesn't seem to be the case for the garment bags I've come across which tend towards being utilitarian in an ugly way. @aliu What a great point, I never think of garment bags as something of quality/aesthetics and maybe that's because so many people just use the ones that come from stores with purchases, etc. I'll look into it, thanks. how much this kind of bag costs? Please keep sharing like this blog that will really valuable and attractive for the Designer and Latest Leather Laptop & Portfolio Bags; thanks. This is really a valuable blog.